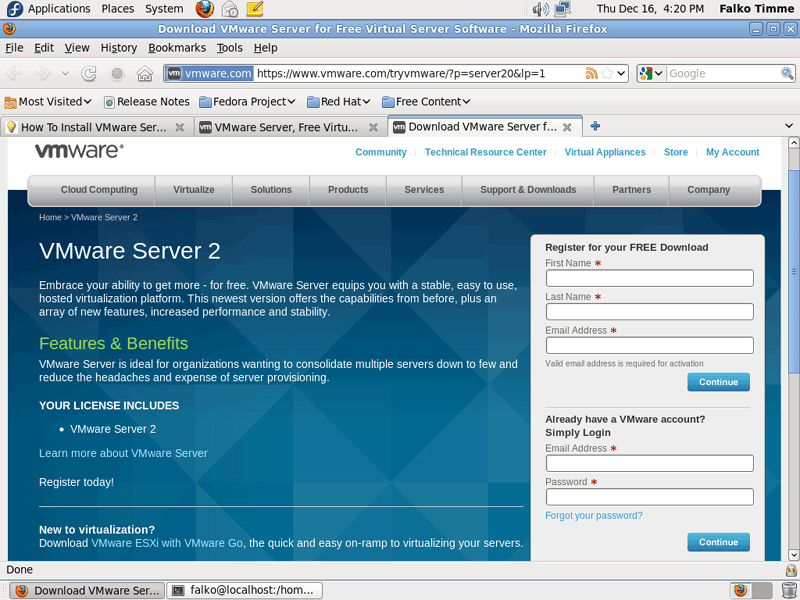 This tutorial provides step-by-step instructions on how to install VMware Server 2 on a Fedora 14 desktop system (with kernel 2.6.35). 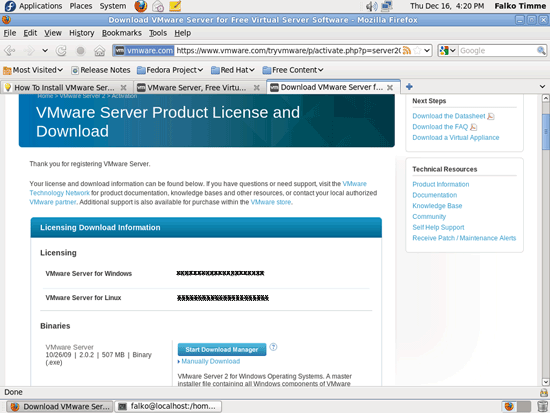 With VMware Server you can create and run guest operating systems ("virtual machines") such as Linux, Windows, FreeBSD, etc. 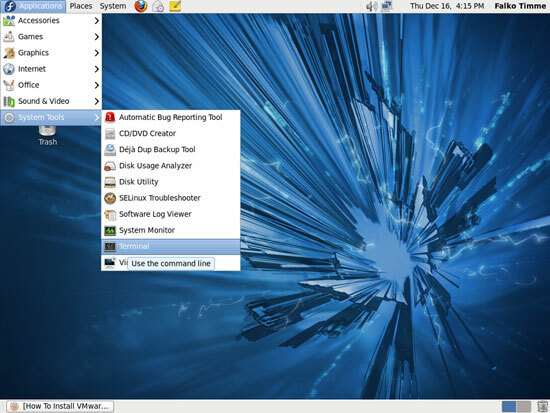 under a host operating system. This has the benefit that you can run multiple operating systems on the same hardware which saves a lot of money, and you can move virtual machines from one VMware Server to the next one (or to a system that has the VMware Player which is also free). Also, with VMware Server you can let your old Windows desktop (that you previously converted into a VMware virtual machine with VMware Converter, as described in this tutorial: http://www.howtoforge.com/vmware_converter_windows_linux) run under your Fedora desktop. This can be useful if you depend on some applications that exist for Windows only, or if you want to switch to Linux slowly. 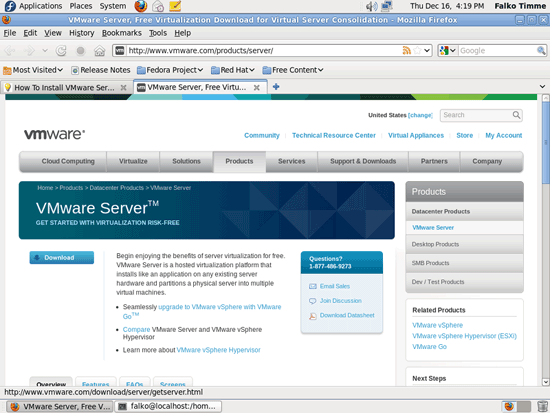 Before we install VMware Server, we have to disable SELinux because otherwise you won't be able to connect to VMware Server later on.